New statewide numbers will help reveal where California's biggest water savings are -- and where they aren't. 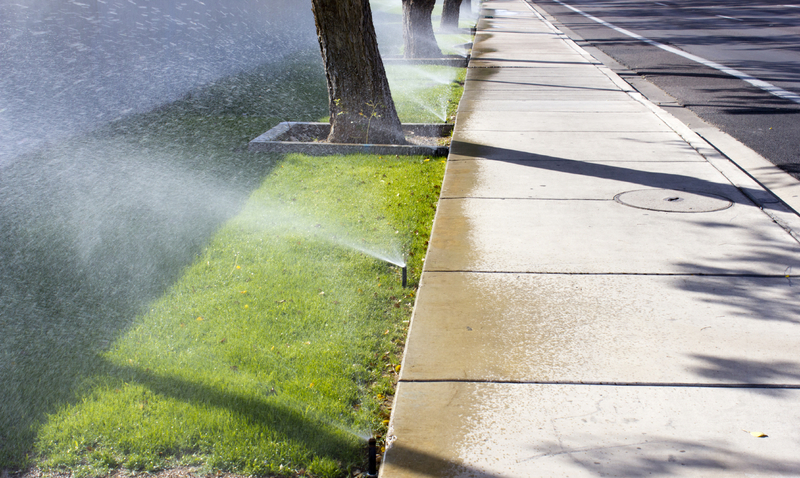 The State Water Resources Control Board offered up the latest urban conservation numbers for cities around the state, which reveal water savings have plateaued after consistent gains through the summer months. According to the Board's monthly survey of water agencies, consumers statewide averaged water savings of 10.3 percent in September, compared to a year earlier. That represents some slippage from the 11.6 percent savings logged in August. Regulators hope to gain more insight from new monthly reports that break down water use on a per capita basis, i.e. how much water each of us is using on a daily basis, on average, in various parts of the state. The numbers reflect residential water use, indoors and out. In September, the first month for which the gallons-per-capita-per-day, or GPCD, figures are available, the Bay Area is near the low end of the scale, averaging 85.2 for the region. Daly City, Hayward hovered in the stingy 60-GPCD range. Near the upper end were such diverse places as Bakersfield (277.5), and Beverly Hills (285.6). Officials are clearly jittery, however, about putting these comparative numbers out there, and they caution that making direct comparisons can be misleading. Hotter and more affluent areas with large, landscaped residential properties tend to show the biggest consumption per capita. But the figures are subject to lots of other variables, all of which are painstakingly highlighted on the Water Board's official website. What matters most is how these numbers change over time. Santa Cruz, with its aggressive conservation program, is shown as moving from the low 60s a year ago to less than 50 GPCD as this summer wound down. Not all districts are in compliance with the new monthly reporting requirements. Max Gomberg, a senior scientist with the Water Board, says that four months into the program, his office is starting "compliance outreach" for laggard districts. Water regulators studiously avoid using the term "enforcement." "We're trying for the carrot, not the stick," says Gomberg. On the upside, officials called out for kudos Santa Clara County, which is in the process of pulling up 1.5 million square feet of lawn as part of its voluntary incentive program. But board chair Felicia Marcus warned that,"The drought’s not over just because it rained. I think we have to plan for the worst and hope for the best, but every drop counts." Her staff intends to set up a statewide hotline for water-waste whistleblowers. The effort is still in the planning stages but according to staffers at the State Water Board, it will be modeled on California's 1-800-EXHAUST program, in which drivers can report vehicles spewing clouds of pollution from their tailpipes. Many local water agencies already have such hotlines. During a discussion of how to market the new statewide number, one board member offered up "1-800-WATERHOG." It might be hard to top that, even though it's one digit too long. Nearly 9-in-10 urban water agencies now have "mandatory" restrictions on outdoor watering, though the definition of "mandatory" varies from place-to-place.